Our fourth annual conference took place in Sheffield on 6 and 7 June 2018. Our theme was inclusivity and we explored the value of designing services for all as well as specific aspects such as BAME and trans-experience of libraries. Our keynotes were library director Christian Lauersen and designer Sara Leren. Our plenary speakers were Dr Kit Heyam and Dr Janine Bradbury. The best delegate paper award was won by Claire Browne. All of the presentations (case studies, practical guidance, stories) from this conference are being prepared for inclusion in the 2018 UX in Libraries Yearbook which will be published later this year. The above picture by David Scott was taken before our gala dinner at Sheffield’s Cutlers’ Hall. Many more of David’s photos will appear in the 2018 Yearbook. It is important to note that this was Matt Borg’s final conference serving on the UXLibs committee. We wish him well in his new career. 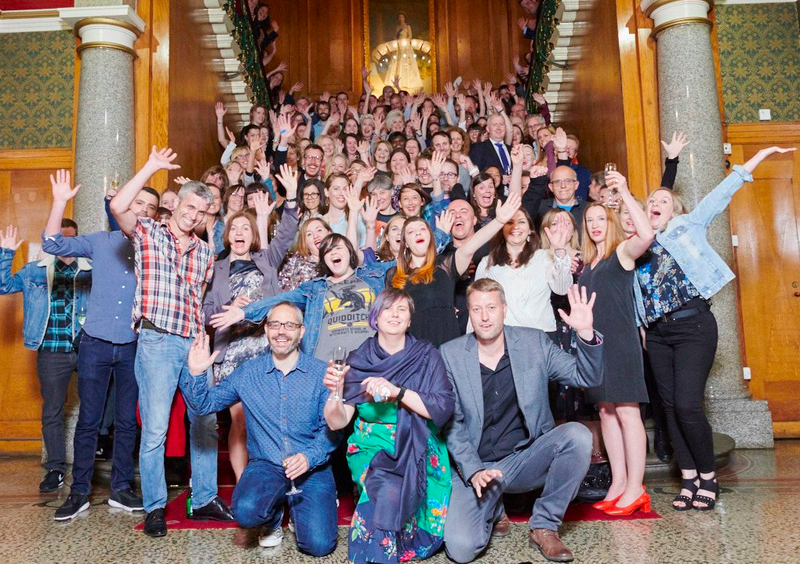 Our successful third conference was held in Glasgow at the Studio on 6-7th June and focused on ethical dimensions and impact of UX techniques. Our keynotes were Dr Meredith Evans and Matthew Reidsma. The best delegate paper award was won by Emma Wisher. 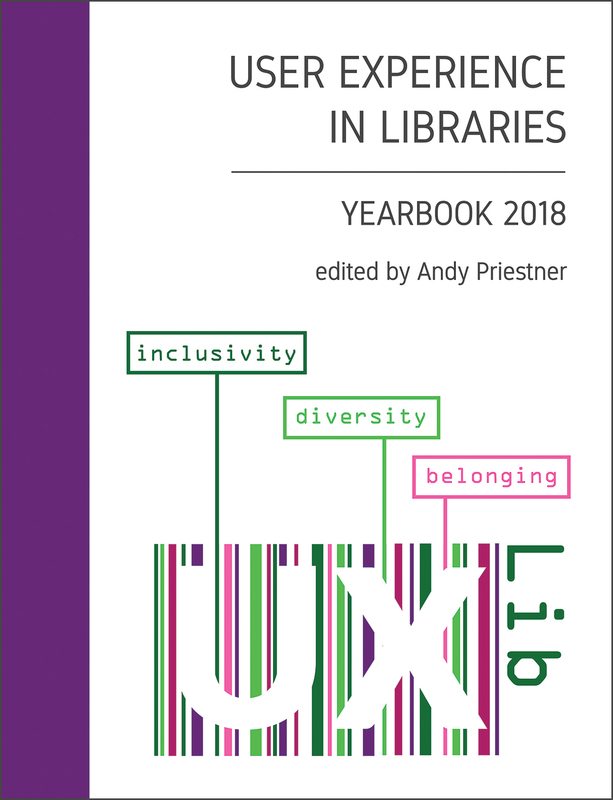 All of the presentations (case studies, practical guidance, stories) from this conference are included in the 2017 UX in Libraries Yearbook which can be purchased in print and electronically. Bryony Ramsden joined the committee in place of Ned Potter. Also here is Matthew Reidsma’s keynote on ‘Ethical UX’ in transcript and video form and Andy Priestner’s post on his New Model of UX Adoption which formed a key part of his UXLibsIII opening address. Our second conference which took place as the UK voted to leave the European Union was held in Manchester at the Studio on 23rd-24th June 2016. The theme was sharing results of UX research. The night before the conference we had a photocall (left) to celebrate the publication of the UX in Libraries book by Routledge (l-r: Helen Murphy, Matt Borg, Matthew Reisdma, Donna Lanclos, Andy Priestner, Andrew Asher). Our keynotes were Dr Donna Lanclos and Lawrie Phipps. The best delegate paper award was won by Ingela Wahlgren. Our first conference intended to bring together library staff from all over the world who were interested in, using, or passionate about UX, ethnography and design thinking. A global community was born. Our keynotes were Dr Donna Lanclos, Matthew Reidsma and Paul-Jervis Heath. All teams competed in an Apprentice-like competition to research and pitch a new innovation based on UX research efforts. The winning team was ‘Purple Haze’. 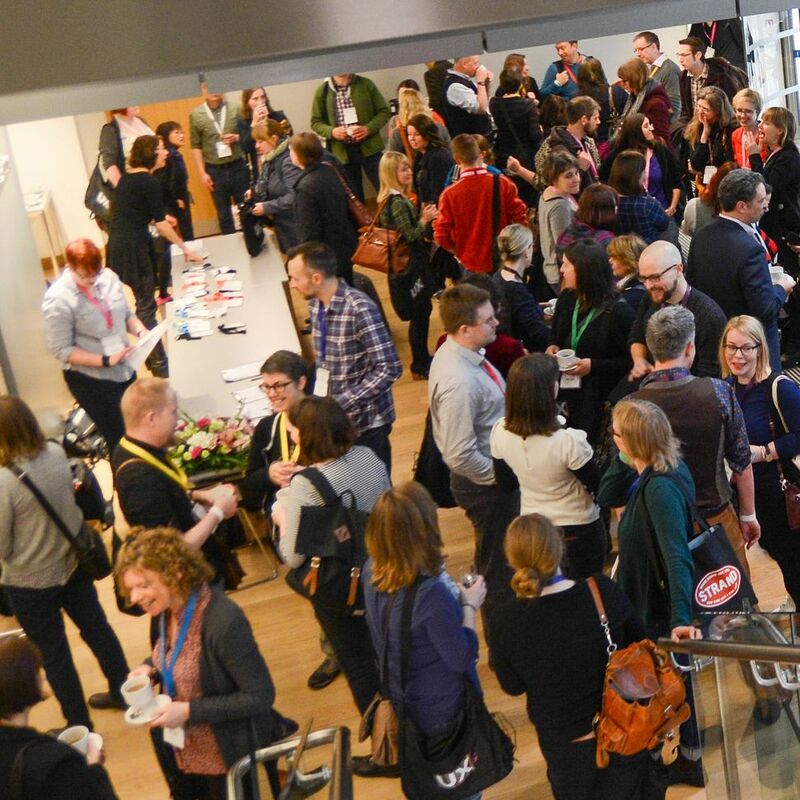 Summary: The first international UX in Libraries conference took place at Cambridge University in March, trending on Twitter on its first day. 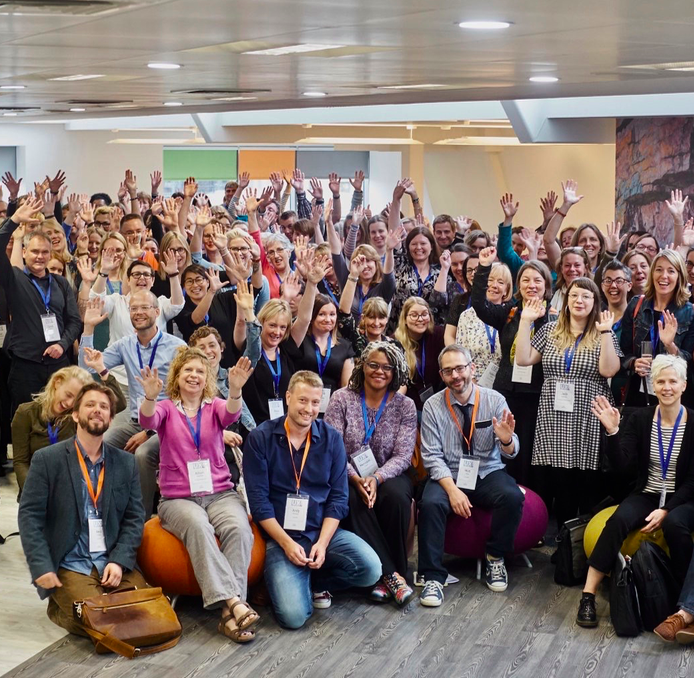 Conference originator and chair Andy Priestner reflects on whether UXLibs fulfilled its goals and looks at the growing interest in ethnographic research techniques in the academic library sector.